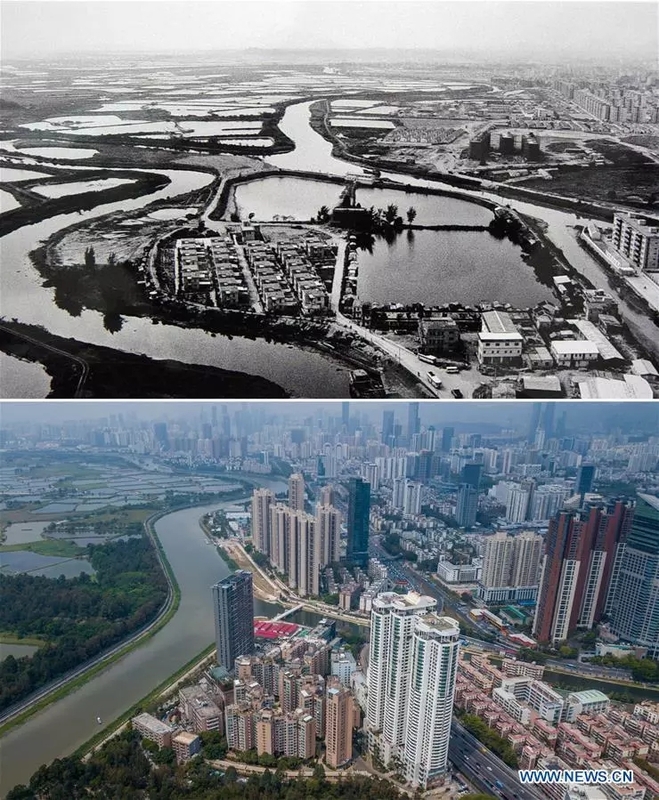 Over the past four decades, Shenzhen has developed from a small fishing village to a metropolis. This year marks the 40th anniversary of China's reform and opening-up policy. 1. 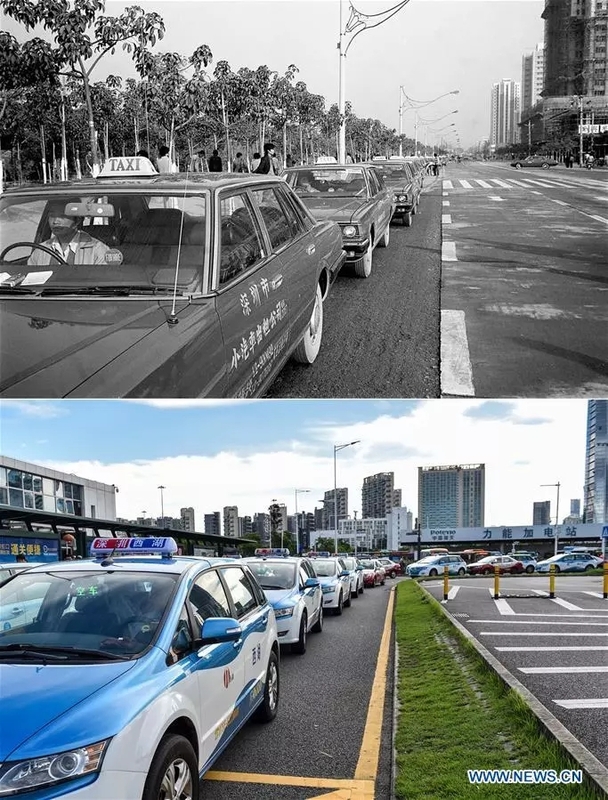 The upper part (file) of this combo photo taken by Chen Xuesi shows taxies in the past in Shenzhen. The lower part of the combo photo taken by Mao Siqian on June 24, 2018 shows electric taxies in Shenzhen. As of this April, the number of electric taxies in Shenzhen has topped 13,000. 2. 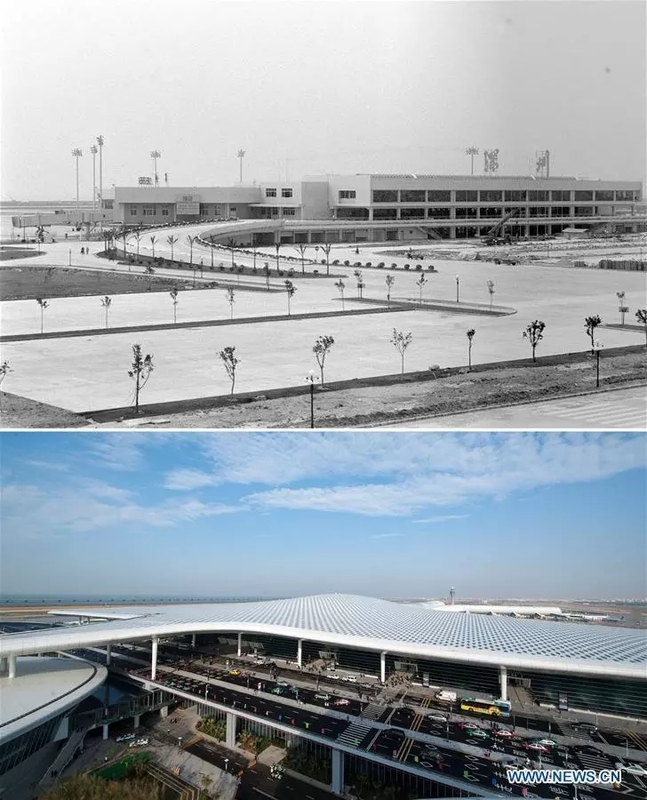 The upper part (file) of this combo photo taken by Pan Jiamin shows a former terminal of the Shenzhen airport. The lower part of the combo photo taken by Mao Siqian on Nov. 28, 2013 shows a part of the new terminal of the airport. 3. The upper part (file) of this combo photo taken by Pan Jiamin shows the Bamboo Garden Hotel in Shenzhen. The lower part of the combo photo taken by Mao Siqian on Oct. 10, 2016 shows the Qianhai Shenzhen-Hong Kong Youth Innovation and Entrepreneur Hub in Shenzhen. 4. 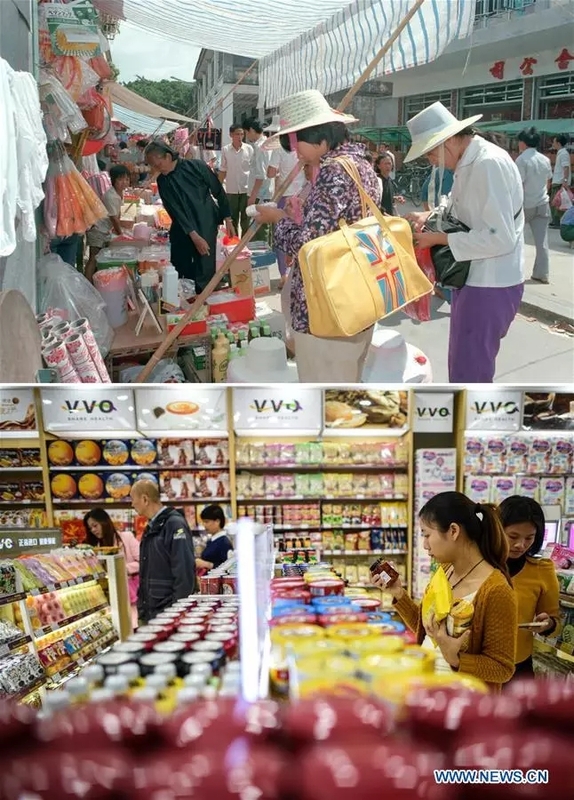 The upper part (file) of this combo photo taken by Yang Shaoming shows people selecting goods at a shopping street in Shenzhen. The lower part of the combo photo taken by Mao Siqian on Dec. 7, 2015 shows customers buying food at the CTFHOKO shopping mall in Shenzhen. 5. The upper part (file) of this combo photo taken by Zhou Jiaguo shows a volunteer doctor examining an elderly woman at a community in Shenzhen. 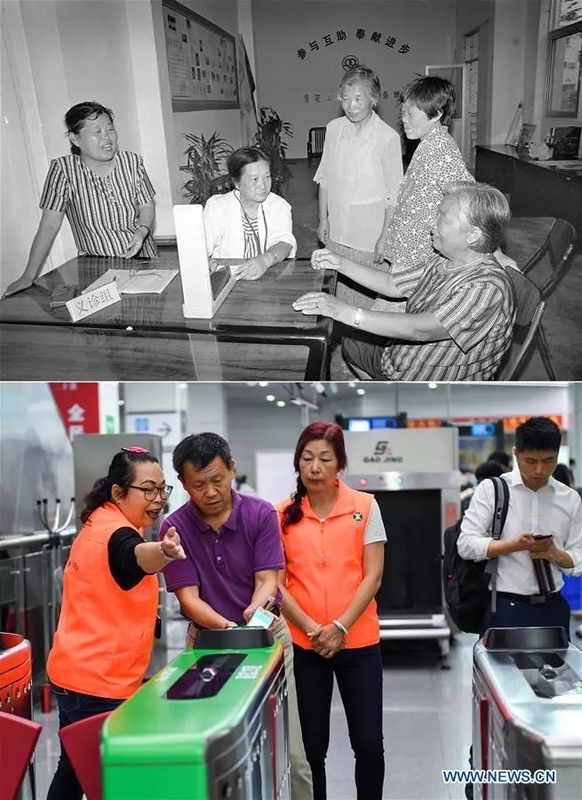 The lower part of the combo photo taken by Mao Siqian on May 8, 2018 shows a volunteer helping a passenger use a smartphone-generated QR code instead of a ticket or transit card to get into a Shenzhen Metro station. 6. 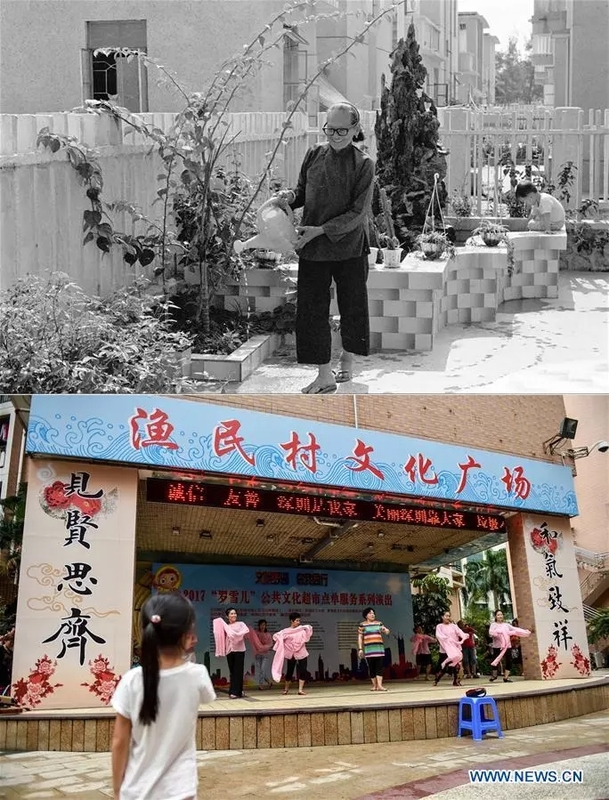 The upper part (file) of this combo photo taken by Pan Jiamin shows a resident watering flowers in the former Yumin Village in Shenzhen. The lower part of the combo photo taken by Mao Siqian on Sept. 7, 2017 shows residents dancing at a community culture plaza in the former Yumin Village. 7. 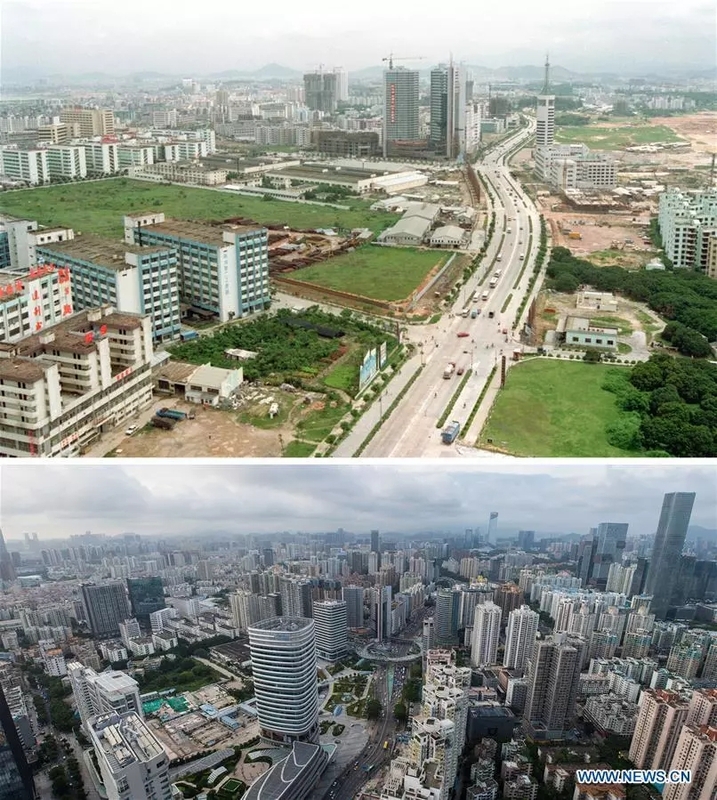 The upper part (file) of this combo photo taken by Zhang Yiwen shows the former Nanyou development zone in Shenzhen. The lower part of the combo photo taken by Mao Siqian on June 20, 2018 shows a new look of the area. 8. 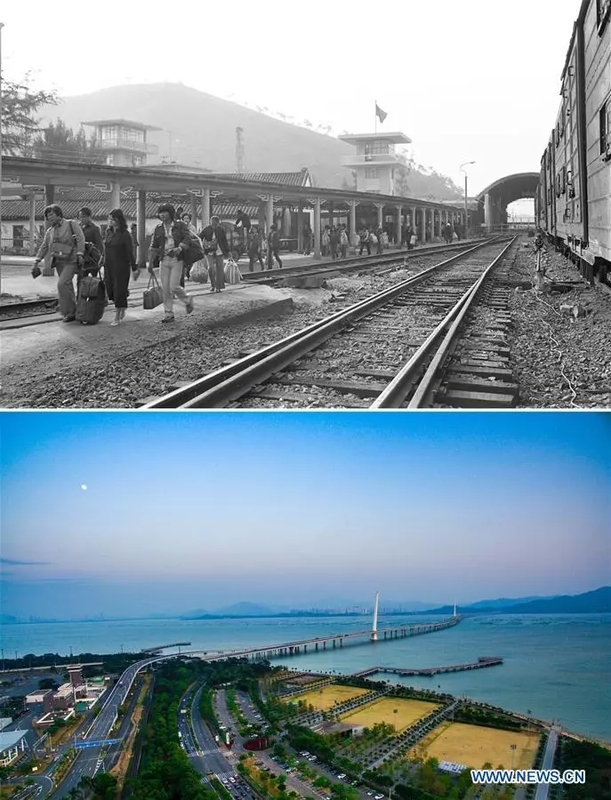 The upper part (file) of this combo photo taken by Pan Jiamin shows migrant workers waiting for trains to go back home at a railway station in Shenzhen. 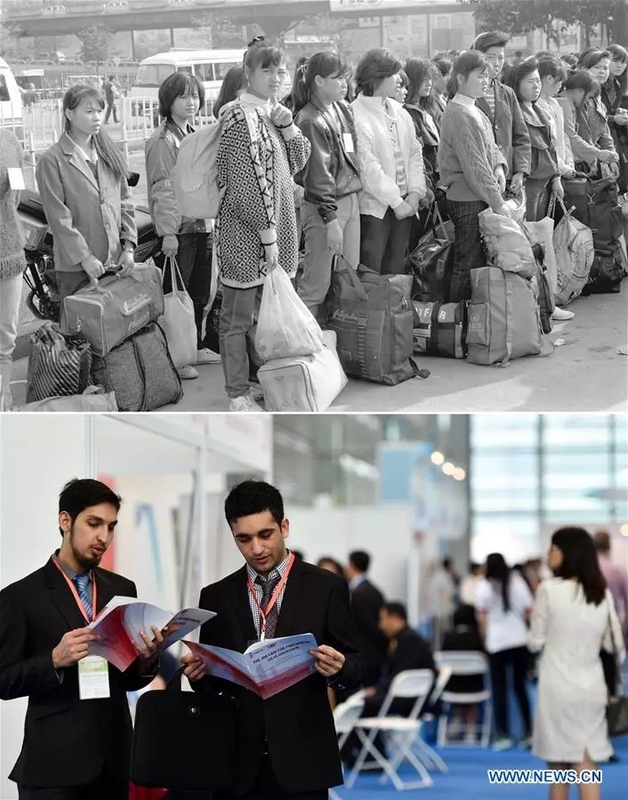 The lower part of the combo photo taken by Mao Siqian on April 18, 2015 shows two foreigners at a job fair in Shenzhen. 9. 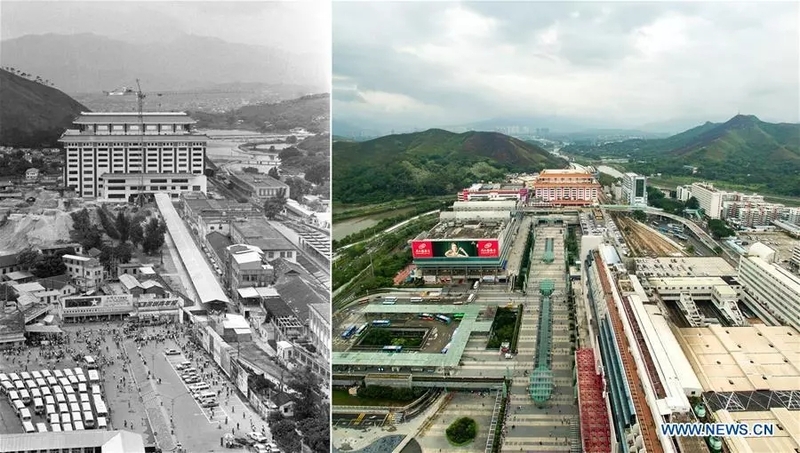 The upper part (file) of this combo photo shows the former Yumin Village in the 1980s in Shenzhen. The lower part of the combo photo taken by Mao Siqian on March 26, 2018 shows a new look of the former village. 10. 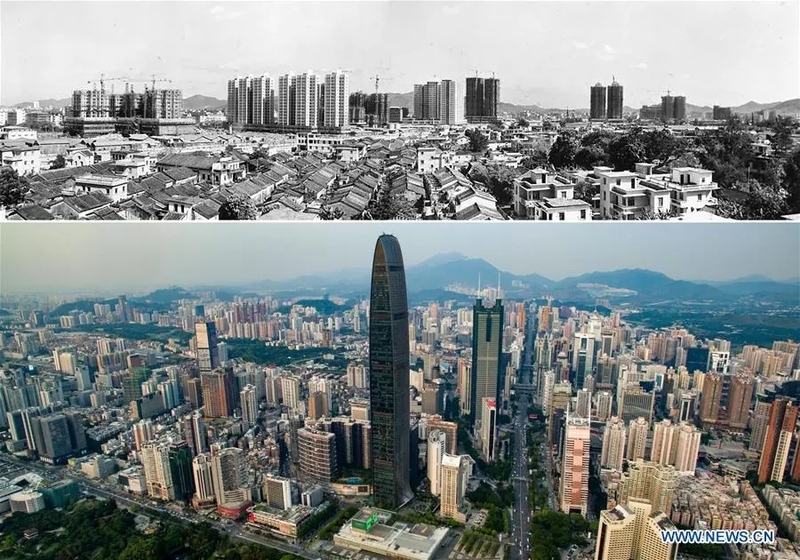 The upper part (file) of this combo photo taken by Li Changyong shows a view of Luohu District under construction in Shenzhen. The lower part of the combo photo taken by Mao Siqian on May 23, 2018 shows a new look of the district. 11. The left part (file) of this combo photo shows Shekou Port in Shenzhen. The right part of the combo photo taken by Mao Siqian on Nov. 16, 2016 shows Shenzhen Taiziwan cruise home-port in Shekou. 12. 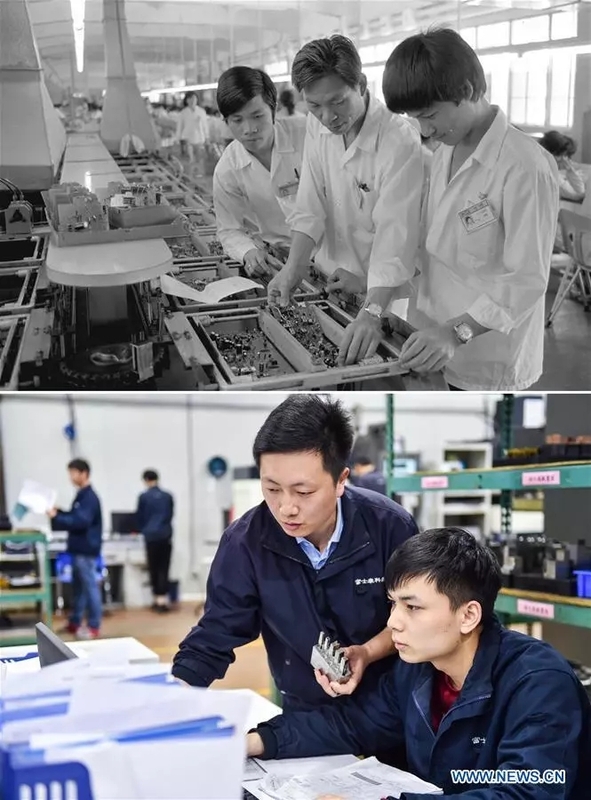 The upper part (file) of this combo photo taken by Li Changyong shows a TV production line in Shenzhen. The lower part of the combo photo taken by Mao Siqian on June 13, 2018 shows a production line of flexible screens in Shenzhen. 13. 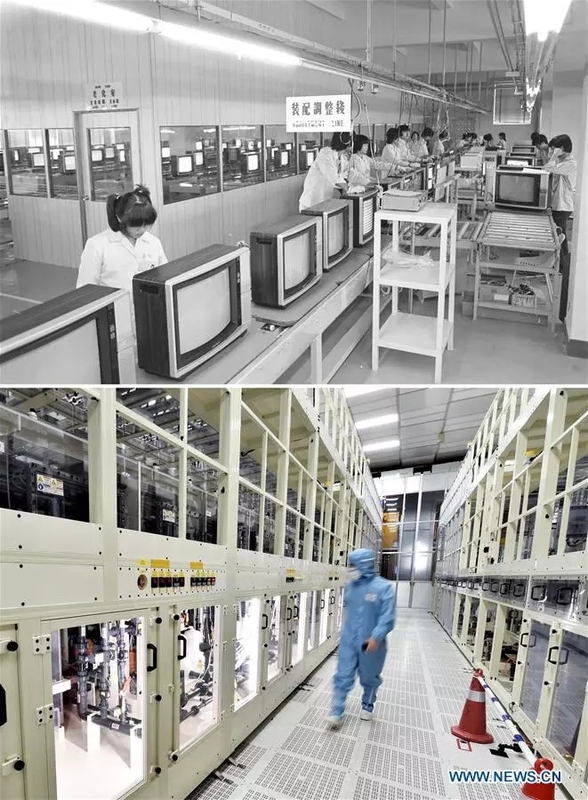 The upper part (file) of this combo photo taken by Li Changyong shows an electronic equipment factory in Shenzhen. The lower part of the combo photo taken by Mao Siqian on Feb. 27, 2018 shows workers at a factory of Foxconn Technology Group in Shenzhen. 14. 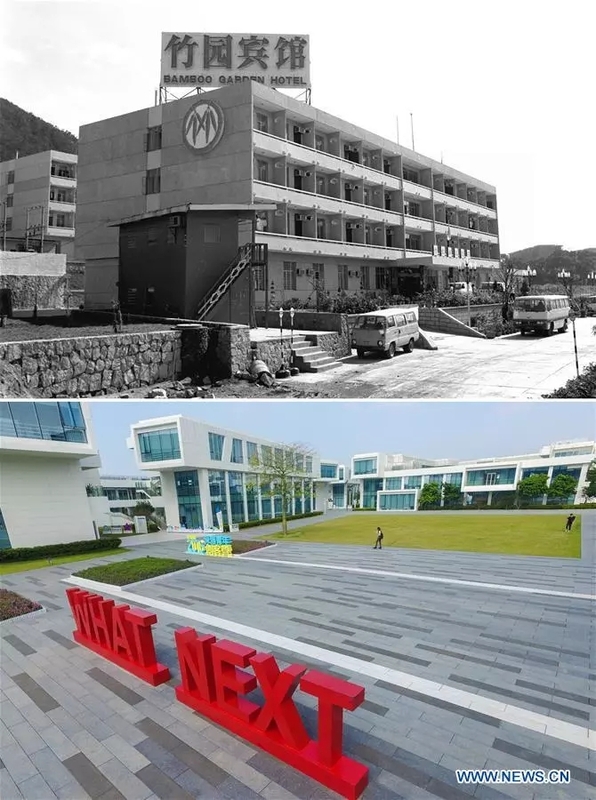 The upper part (file) of this combo photo taken by Li Changyong shows a plant of SANYO in Shenzhen. The lower part of the combo photo taken by Mao Siqian on June 20, 2018 shows a new look of the SANYO plant. 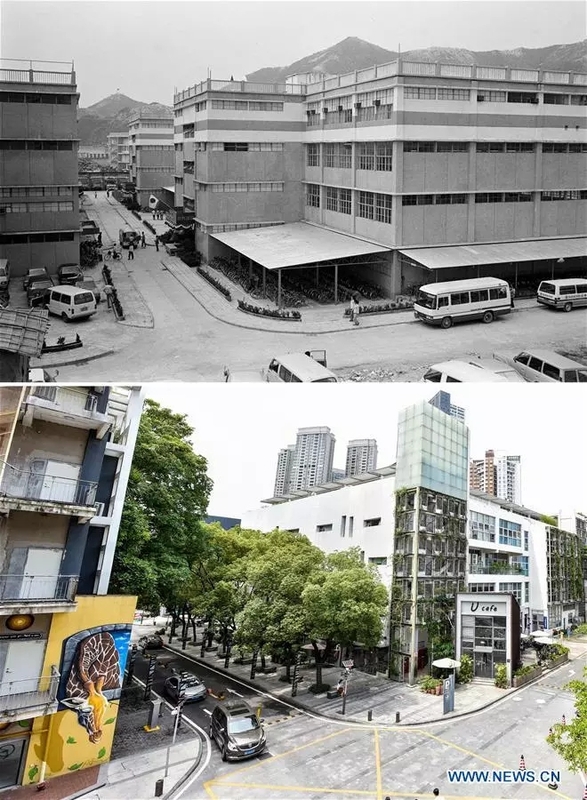 It has been transformed into a creative industrial zone. 15. The upper part (file) of this combo photo taken by Pan Jiamin shows students of Shenzhen University having an architectural art lesson in Shenzhen. 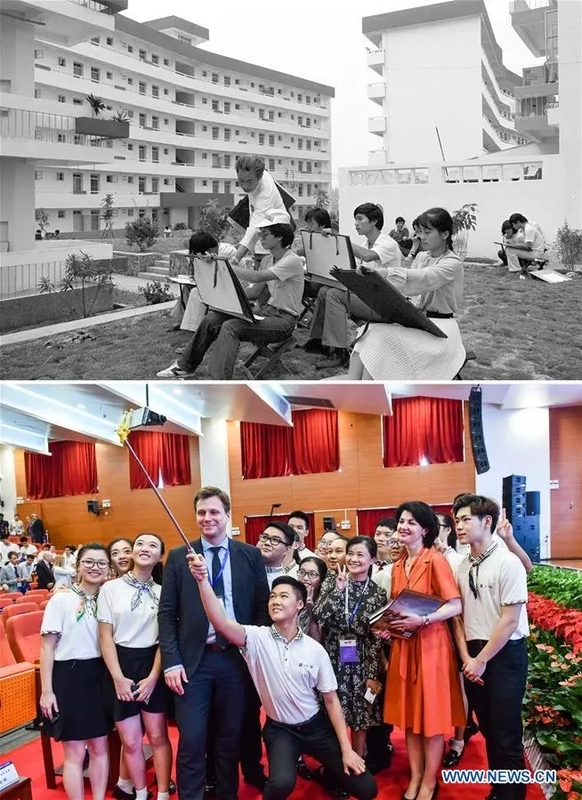 The lower part of the combo photo taken by Mao Siqian on Sept. 13, 2017 shows students of Shenzhen MSU-BIT University posing for a selfie after a semester-opening ceremony in Shenzhen. 16. 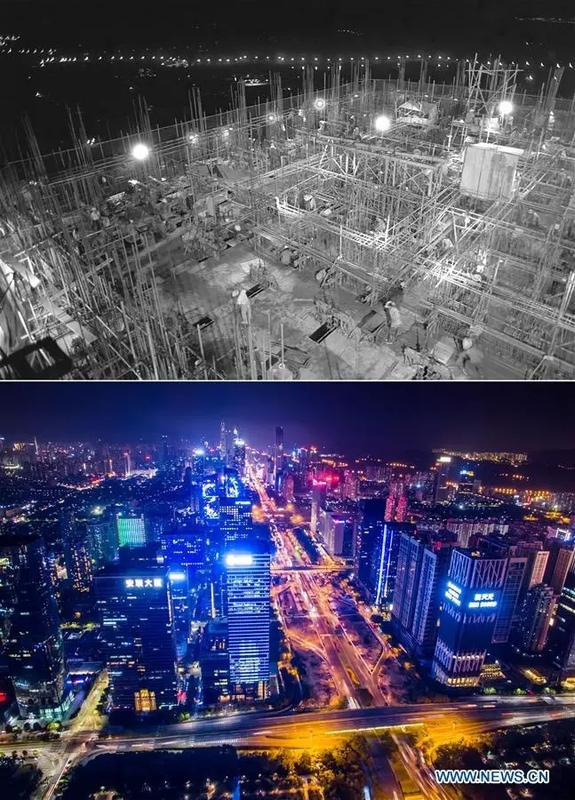 The upper part (file) of this combo photo taken by Chen Xuesi shows the construction site of an international trade center in Shenzhen. The lower part of the combo photo taken by Mao Siqian on Feb. 14, 2017 shows a night view of Shenzhen. 17. The left part (file) of this combo photo taken by Lo Ping Fai shows a joint inspection building in Shenzhen. The right part of the combo photo taken by Mao Siqian on June 12, 2018 shows a joint inspection building zone of Luohu Port in Shenzhen. 18. The upper part (file) of this combo photo taken by Li Changyong shows passengers at a port linking Shenzhen and Hong Kong. The lower part of the combo photo taken by Mao Siqian on Feb. 9, 2017 shows a cross-sea bridge of Shenzhen Bay. 19. 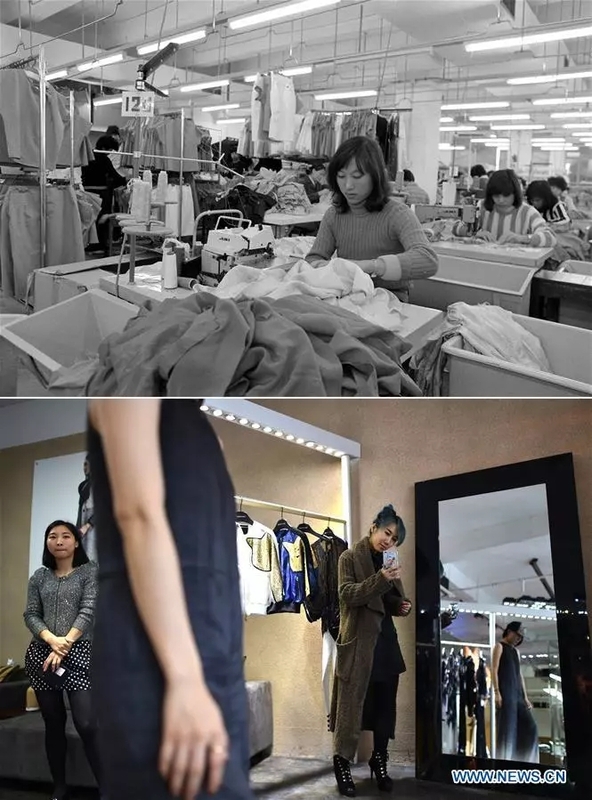 The upper part (file) of this combo photo taken by Duan Wenhua shows employees working at a clothing factory in Shenzhen. The lower part of the combo photo taken by Mao Siqian on March 28, 2015 shows fashion designer Lu Yu (R) at her studio in Shenzhen. 20. 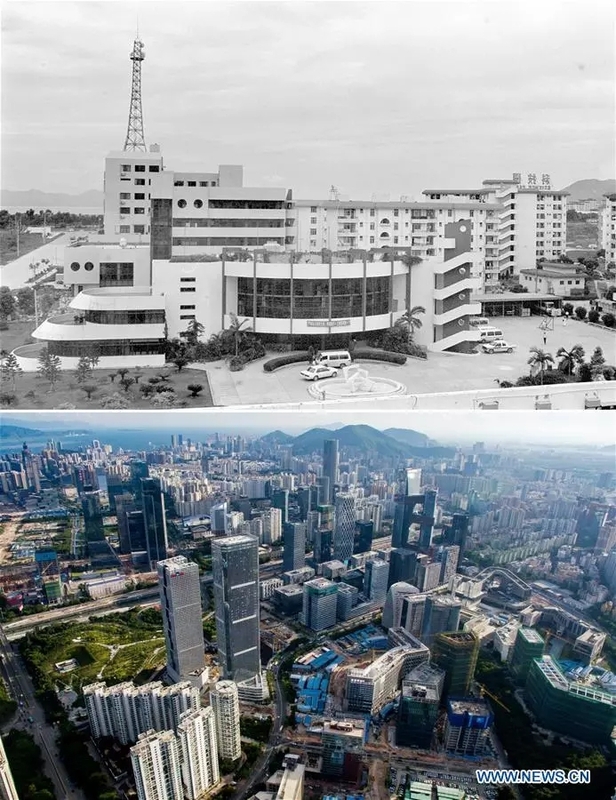 The upper part (file) of this combo photo taken by Huang Jianqiu shows a science park in Shenzhen. The lower part of the combo photo taken by Mao Siqian on July 27, 2016 shows a science park zone in Shenzhen.